Does Apple have a Search Strategy? I think so. 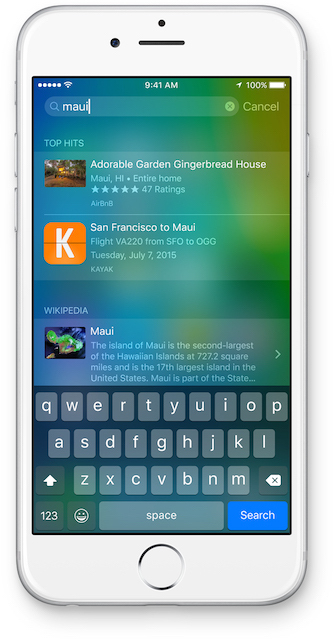 A year ago, I asked "Could Apple disrupt search?" and, intrigued by the “new Spotlight”, I speculated that it “will be a broker for various information sources, not just search engines”. It turns out, that I was right. It seems that Apple has a search strategy, and it’s not just limited to using its leverage to negotiate better deals with search providers: They are interested in becoming a player themselves. Judging from Yahoo and Bing and all other search engines that tried to rival (or were surpassed by) Google, building a centralised search engine that could rival Google is close to impossible. I don’t know if it was possible ten or fifteen years ago, but today Google has become so big and so good and so fast at indexing and analysing the web that the first place in this race is taken. A different approach would be breaking up search to smaller, or even very small pieces and delegate each one to an expert: Where Google said to information providers “give us the data, we will index it, and handle search for you”, Apple’s strategy seems to be “we give you the query, you give us back the results and we present them to the user”. This way, Spotlight becomes a broker responsible for delegating the queries and aggregating the results. This opens up the door to some very interesting possibilities, for example dealing with the types of search even Google has not been great at, like real time information, or social search. And gives more power to information sources and curators. The obvious examples are using spotlight and getting results from twitter or Facebook (personalised or not). But I would also like to get results from feedly, i.e., my curated source of information, or Flipboard, or spotify, and so on. The key here, is that in addition to a number of “default” sources (Bing, Wikipedia, etc.) a user will have to subscribe to their own “search providers”. I got this wrong a year ago, when I thought that Apple would build a “Search Store” where users will be able to subscribe to such sources (free or paid). They already have this in place: It’s called the App Store, and now each app can be a search provider. Also, any information provider (like a news or travel portal, or an online retailer) who decides to become a search provider will probably realise that instead of investing in SEO, they have to invest in providing good search results. I.e., they will probably need services like Algolia, or Amazon CloudSearch. There’s a great opportunity here too. We have lived for so long with centralised search engines, and Google in particular, that it’s hard to get the full extent of the implications of unbundling search. But it seems that Apple is on to it. 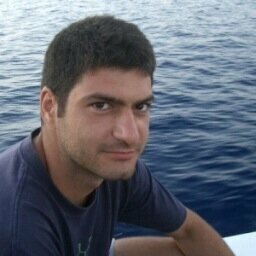 — Discuss on HackerNews or comment on Medium.